Saeed Shahram is a noted composer with over 40 feature length movie soundtracks to his credit since 1983. His accomplishments include awards for "Two Sides of a Coin" and "Abadanies", the latter winning the prize for Best Film at the 1994 International Film Festival in Locarno, Switzerland. He studied composition and electronic music, and completed Dastgah (Persian Music Studies) under Mr. Pour Torab and Master Karimi in 1983. He has been composing full-time since then. Saeed Shahram moved to the United States in 1994 and has been traveling back to Iran periodically, especially since 2006, to compose a variety of scores for award-winning films, such as "Lonesome Trees" director Saeed Ebrahimefar. 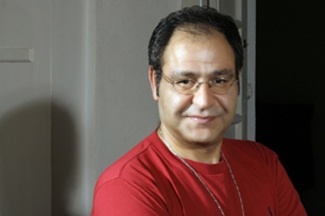 Currently, Saeed Shahram has several scores for film and television projects in production, such as "Roozegare Gharib" the most popular TV series in Iran today. He resides in Seattle, Washington and has been serving on the board of the Seattle Composers Alliance since 2001. He is also a member of ASCAP.